member of the Information Systems (IS) group at the Industrial Engineering and Management (IEM) Department in the faculty for Engineering sciences. Macom Tikshov - First web presence building company in Israel. responsible for multiple projects and clients. Fink, L., Rosenfeld, L., & Ravid, G.(2018). Longer online reviews are not necessarily better. 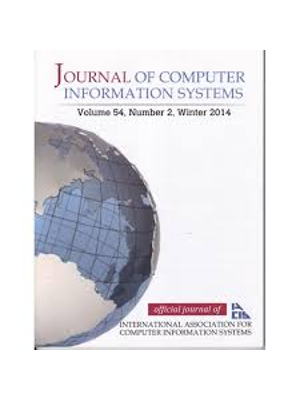 International Journal of Information Management, 39, 30-37. Models of information processing have long suggested that people respond in a curvilinear manner to variation in information load and that information use may be restricted when available information is either scarce or abundant. Research on online product reviews, however, suggests that the relationship between the length of online reviews available to consumers and effectiveness measures is positive and linear. To explain this discrepancy, we argue that review length has a negative curvilinear (inverted-U-shaped) relationship with effectiveness and that such a relationship has seldom been observed in previous studies because those have analyzed data collected in low-constraint settings of information processing. The analysis of data about online reviews for free and paid apps, collected on two mobile app stores, provides consistent evidence in support of the hypothesized curvilinear relationship. The findings suggest that maximum cognitive load is experienced at lower review lengths for paid apps than for free apps and that the marginal utility for the majority of review length observations is positive or nonsignificant for free apps and negative for paid apps. These findings are consistent with product-related differences in information processing motivation. The study contributes to the ongoing debate on the ideal length of messages in electronic environments. Applying Machine Learning on Sensor Data for Irrigation Recommendations: Revealing the Agronomist’s Tacit Knowledge. Jojoba Israel is a world-leading producer of Jojoba products, whose orchards are covered with sensors that collect soil moisture data for monitoring plant needs at real-time. Based on these data, the company’s agronomist defines a weekly irrigation plan. In addition, data on weather, irrigation, and yield are recorded from other sources (e.g. meteorological station and irrigation-plan records). However, so far, there has been no attempt to use the entire set of collected data to reveal insights and interesting relationships between different variables, such as soil, weather, irrigation characteristics, and resulting yield. By integrating and utilizing data from different sources, our research aims at using the collected data not only for monitoring and controlling the crop, but also for predicting irrigation recommendations. In particular, a dataset was constructed by integrating data collected over almost two years from 22 soil-sensors spread in four major plots (which are divided into 28 subplots and eight irrigation groups), from a meteorological station, and from actual irrigation records. Different regression and classification algorithms were applied on this dataset to develop models that were able to predict the weekly irrigation plan as recommended by the agronomist. The models were developed using eight different subsets of variables to determine which variables consistently contributed to prediction accuracy. By comparing the resulting models, it was shown that the best regression model was Gradient Boosted Regression Trees, with 93% accuracy, and the best classification model was the Boosted Tree Classifier, with 95% accuracy (on the test-set). Data that were not contributing to the model prediction success rate were identified as well. The resulting model can significantly facilitate the agronomist’s irrigation planning process. In addition, the potential of applying machine learning on the company data for yield and disease prediction is discussed. Creation of Knowledge-added Concept Maps: Time Augmention via Pairwise Temporal Analysis. Purpose – Although acknowledged as a principal dimension in the context of text mining, time has yet to be formally incorporated into the process of visually representing the relationships between keywords in a knowledge domain. 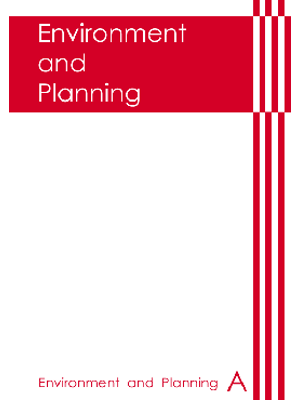 This paper aims to develop and validate the feasibility of adding temporal knowledge to a concept map via pair-wise temporal analysis (PTA). Design/methodology/approach – The paper presents a temporal trend detection algorithm – vector space model – designed to use objective quantitative pair-wise temporal operators to automatically detect co-occurring hot concepts. This PTA approach is demonstrated and validated without loss of generality for a spectrum of information technologies. Findings – The rigorous validation study shows that the resulting temporal assessments are highly correlated with subjective assessments of experts (n=136), exhibiting substantial reliability-of-agreement measures and average predictive validity above 85 per cent. Practical implications – Using massive amounts of textual documents available on the Web to first generate a concept map and then add temporal knowledge, the contribution of this work is emphasized and magnified against the current growing attention to big data analytics. Originality/value – This paper proposes a novel knowledge discovery method to improve a text-based concept map (i.e. semantic graph) via detection and representation of temporal relationships. The originality and value of the proposed method is highlighted in comparison to other knowledge discovery methods. Snir, R. & Ravid, G.(2016) Global Nanotechnology Regulatory Governance From a Network Analysis Perspective. 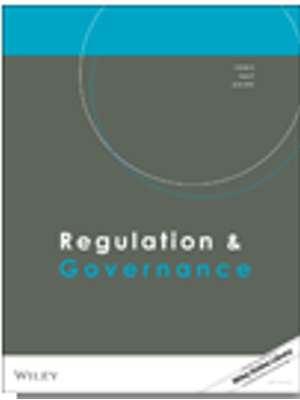 Global Nanotechnology Regulatory Governance From a Network Analysis Perspective. Over the last decade, there has been a proliferation of nanotechnology regulatory initiatives, developed to ensure the responsible development of nanotechnology applications. This article examines the emergence and diffusion of environmental, health and safety (EHS) policies dealing with nanotechnology. Drawing on a citation network analysis of global nanotechnology regulatory governance, the article analyzes the role of key organizations at multiple levels and their interplay in initiating and diffusing occupational safety and health policies. It shows that private international standard-setting organizations become “centers of information,” which play a strategic role as intermediaries that diffuse national policies globally. Through this process, these centers help to shape supranational policies. Such an understanding of the role of international private standard-setting organizations sheds new light on the current debate over the privatization and internationalization of EHS governance. Samuel-Azrran, T. & Ravid, G. (2014) Can blogging increase extroverts' satisfaction in the classroom? Lessons from multiple case studies. In light of systematic evidence that extroverts are disadvantaged in the classroom, we examined whether an online environment assignment that builds on extroverts’ character strengths can increase their overall course satisfaction. Based on previous studies demonstrating that extroverts are energized by feedback from outsiders, we asked 180 students to blog regarding classroom material with the aim of attracting maximum attention from strangers. The questionnaires completed at the beginning of the course confirmed that extroverts believed, significantly more so than introverts, that outsiders would be interested in what they have to say, illustrating the potential of such task. The questionnaires completed at the end of the course (N = 109), however, revealed that participants expressed disappointment with their ability to attract attention to their blogs. Follow-up interviews revealed that students liked the nature of the assignment but not the platform. Most of them suggested using more extrovert-friendly platforms in the future. Decision makers relying on web search engines in concept mapping for decision support are confronted with limitations inherent in similarity measures of relatedness proximity between concept pairs. To cope with this challenge, this paper presents research model for augmenting concept maps on the basis of a novel method of co-word analysis that utilizes webometrics web counts for improving similarity measures. Technology assessment serves as a use case to demonstrate and validate our approach for a spectrum of information technologies. Results show that the yielded technology assessments are highly correlated with subjective expert assessments (n = 136; r > 0.879), suggesting that it is safe to generalize the research model to other applications. The contribution of this work is emphasized by the current growing attention to big data. Games are not a new concept in learning. Game-based learning, simulations, and serious games are known pedagogical methods used to build on the inherent playfulness of learners. Technological advances and the popularity of learning management systems are making it easier to implement gamification, analyze the resulting engagement and playfulness, and modify the implementation if needed. However, knowledge is often missing about how different combinations of game mechanics and dynamics create playfulness. We discuss the concept of gamification behavior patterns, which are sequences of actions performed by a user that can be attributed to the application of a gamification design pattern. A preliminary experiment was conducted in an academic course where perceived playfulness was analyzed with respect to three different sets of independent variables: personality, perceived enjoyment from game mechanics, and gamification behavior patterns. Results show that it is practical to measure gamification behavior patterns and that they have a significant predictive power. We propose the development of an open-source, cloud-based gamification behaviors database that will collect specific gamification engagement events from systems worldwide, along with metadata about each implementation. With such a database, Big Data, machine-learning, and recommender-system algorithms can be applied to increase knowledge regarding steering user behaviors through gamification. Miron, E. & Ravid, G. (2015) Facebook Groups as an Academic Teaching Aid: Case Study and Recommendations for Educators. Facebook Groups as an Academic Teaching Aid: Case Study and Recommendations for Educators. The move from a walled garden type Learning Management Systems (LMS) to open environments (like Facebook) forces us to adapt new teaching ways. 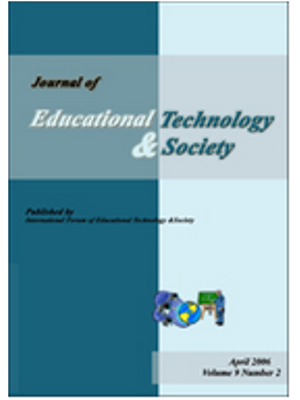 This article offers a brief review of the use of Facebook groups in learning, describes the experience of using Facebook groups in an academic institute, explains the considerations for choosing the type of group and provides detailed technical guidance for teachers and students, including recommendations for enhanced privacy and Internet security and for reduction of information overload. Good technical understanding of the FB platform and active participation (at least once daily), are recommended for successful use. Facebook groups have been used by the authors during 2012 – 2014 in 12 courses. Overall results show that the use of FB groups for academic purposes is favoured by the students. From the educators\' vantage point: communication with the students was fast and easy. Email alerts enabling communication with the students, but without the need to \"live in Facebook\" An answer to one student was visible to all. To sum up: the experience of both the students and the authors is favourable. Finally, the acceptance of Facebook as an LMS was analysed using a simplified version of the Technology Acceptance Model. Managing the constant flow of incoming messages is a daily challenge faced by knowledge workers who use technologies such as e-mail and other digital communication tools. This study focuses on the most ubiquitous of these technologies, e-mail, and unobtrusively explores the ongoing inbox-management activities of thousands of users worldwide over a period of 8 months. The study describes the dynamics of these inboxes throughout the day and the week as users strive to handle incoming messages, read them, classify them, respond to them in a timely manner, and archive them for future reference, all while carrying out the daily tasks of knowledge workers. It then tests several hypotheses about the influence of specific inbox-management behaviors in mitigating the causes of e-mail overload, and proposes a continuous index that quantifies one of these inbox-management behaviors. This inbox clearing index (ICI) expands on the widely cited trichotomous classification of users into frequent filers, spring cleaners, and no filers, as suggested by Whittaker and Sidner (1996). We propose that the ICI allows shifting the focus, from classifying users to characterizing a diversity of user behaviors and measuring the relationships between these behaviors and desired outcomes. Gamification in education is being used as a way to increase student engagement and learning. While carrying a big promise, little is known about how students with different personalities, specifically extraverts and introverts, are influenced by game elements and mechanics: knowledge that is essential to ensure that implementing gamification will not disengage some students. In two quasi-experiments performed in an academic course, students (n=102; n=58) were faced with the immediate feedback game mechanics such as points, rewards, and badges, and comparative feedback mechanics such as leaderboards and progress bars. The perceived playfulness from the implementation was measured and a Partial Least Squares (PLS) analysis was performed measuring the relations between these elements and the way they increase the perceived playfulness throughout the semester. A moderation analysis was performed examining how extraverts and introverts perceive each implementation. Our results show that in both cases there were significant moderating effects between game mechanics and perceived playfulness. More specifically, the effect of leaderboards on perceived playfulness was higher for introverts and was negative for extraverts, meaning that implementing leaderboards may disengage extraverts. These results are important for gamification researchers who are looking at how different personalities derive perceived playfulness, based on different game mechanics and to educators who plan to include game elements in their courses. I just wanted to ask: A comparison of user studies of the Citizens Advice Bureau (SHIL) in Israel. Day-to-day information needed by citizens can be sought in a variety of ways. Specifically, we were interested in users of online, citizen rights websites, such as the SHIL site (http://shil.info). Our results report findings from three parallel data collection efforts. Surveys were undertaken to gain a better understanding of how the SHIL website is used and to compare the information needs and information sources used by SHIL users and potential users unaware of the existence of the website. The surveys were administered to samples from three populations (current users of this site, previous users of the site, and users who filled in an offline questionnaire and were mostly unaware of the existence of the SHIL website). We report several interesting differences between the three groups, and suggest future work on analyzing the site, its users, the content it provides and the needs it serves. 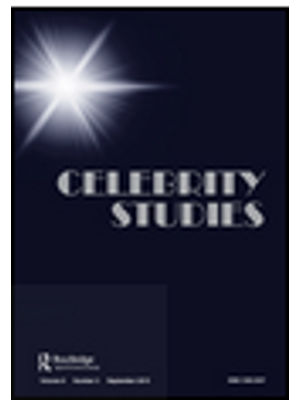 Celebrities are anecdotally one of the most observed groups in contemporary society, but are difficult to capture in large-scale quantitative empirical analyses. In this analysis, we use a unique dataset, Getty Images photographs, to study this social group and its various network structures. Overall, our analysis demonstrates that celebrity networks are characterised by low degrees of separation and high connectivity between one another. Higher industry status (‘talent’) and media profile form particular, more exclusive, networks within the larger universe of celebrities. Our empirical results stack up with the theory of ‘superstars’ and the ‘rich-get-richer’ model of preferential attachment and cumulative advantage. We speculate that there may be substantial social and economic outcomes to being more connected to other celebrities that transcend the social ties observed at the documented social events. 'Stars' and the connectivity of cultural industry world cities: an empirical social network analysis of human capital mobility and its implications for economic development. Many scholars have studied the role of human capital and its social networks in order to understand uneven economic development. The cultural industries have become a focal point in this line of inquiry. In this paper we study the linkages across cultural industry hubs, with particular focus on the role of ‘star’ human capital networks in the establishment of connectivity and dominance by a few particular cities. To date, no one has used a technique that directly connects individuals across space and empirically follows the social networks of human capital across major economic hubs. We use a unique dataset, Getty Images photographs, and undertake social network analysis to study the social networks and human capital movement within the cultural industries. We collected caption information on over 600 000 photographs, 6754 individuals, 12 777 industry social events, and 187 locations. We analyzed these photographic data to determine whether empirical social connections could tell us something meaningful about cultural industry human capital mobility and its impact on the places in which it locates. Our results empirically reaffi rm preexisting knowledge of cultural hubs, but we go farther by articulating the connectivity between these places and identifying the social relations and human capital that appear to correlate with their competitive advantage. Shalom, N., Baruchson-Arbib, S., Bar-Ilan, J., Rafaeli, S. & Ravid, G. (2012). A case study of a citizen’s advisory center at the Kotar Rishon library in Rishon Le-Zion [Hebrew]., 8. A case study of a citizen’s advisory center at the Kotar Rishon library in Rishon Le-Zion. מטרת המחקר הייתה להבין כיצד פועל מרכז המידע ולתאר את אופן פעולתו, לבחון איך הוא משווק את עצמו לציבור, מהם המאפיינים של הפונים למרכז, מה תחומי המידע שבהם הם מתעניינים ובאיזו מידה מצליח המרכז לענות על צרכיהם. מכיוון שמרכז המידע הוא חלק מהספרייה הציבורית נבחנו גם יחסי הגומלין ושיתוף הפעולה בין מרכז המידע לספרייה. מתודולוגיה: במהלך שלושה חודשים ב-2010 נערכו 84 ריאיונות עומק עם תושבים שהגיעו למרכז לקבלת מידע. בנוסף לזאת, נערכו תצפיות על המפגשים עם הפונים במרכז כמו גם שיחות עם המתנדבים הנותנים שירותי ייעוץ ועם מנהלת המרכז. לבסוף, ניתחנו את החומרים הכתובים שאותם מפרסם המרכז. ממצאים: הפונים למרכז הם גברים ונשים, נשואים, רובם ילידי הארץ דוברי עברית, או עולים ותיקים הנמצאים בארץ יותר משני עשורים, בטווח גילאים שבין 40 ל-50. הפונים הם בעלי השכלה תיכונית לפחות. הנושאים העיקריים שבהם פנו האנשים לקבל ייעוץ היו יחסי עובד-מעביד, ייעוץ משפטי, מילוי טפסים, פתיחת עסק וצרכנות. ניתוח החומר הכתוב מלמד כי המרכז הציב לעצמו שתי מטרות. הראשונה, לתת לפונים שירותי מידע עדכני ומותאם. המטרה השנייה הייתה למצב את הספרייה כארגון דינמי וחדשני. הממצאים מלמדים שיש רק שיתוף פעולה מצומצם בין המרכז לבין הספרייה והיותו של המרכז חלק מהספרייה אינו תורם להגברת המוניטין שלה בקרב הציבור. המסקנות העולות מממצאי המחקר מלמדות על צורך להדק את הקשרים בין המרכז לבין הספרייה הציבורית וכך למנף את הספרייה ואת פעולות המרכז. בנוסף לזאת, חשוב להגיע גם לאוכלוסיות מוחלשותשבוודאינזקקות למידע כדי להתנהל ביומיום. מומלץ שהמידע הניתן לציבור יכלול גם הסבר בנוגע לשאלה כיצד המערכות מתנהלות ומהם החוקים והנהלים העומדים ביסוד פעולותיהם. מידע כזה יתרום להעצמה של הציבור בבואו להתמודד עם בעיות דומות בעתיד. מחקר זה מספק הזדמנות חשובה למוסדות המספקים שירותים לציבור ללמוד ולקבל משוב מתוך הידע שנצבר במרכז, כדי לשפר את התנהלותם ועל מנת להיות יותר רגישים לצורכי הציבור. כמו כן, הממצאים מלמדים כי ניתן לבנות בתוך ספרייה ציבורית מרכז מידע לציבור ובכך למצב אותה במקום חשוב בקהילה, אולם יש להקדיש חשיבה נוספת לבניית יחסי גומלין בין השירותים שנותן מרכז המידע לבין הספרייה ולאינטגרציה ביניהם. Purpose – Citizens Advice Bureau (SHIL in Hebrew) is an information and referral service dedicated to serving the needs of citizens by providing easy access to information about citizenship rights and obligations. Many people turn to the offices of SHIL either for help or to volunteer as advisors. This study seeks to examine the information seeking behavior of SHIL volunteers supplying information services to citizens. Design/methodology/approach – The theoretical foundations of the study are based on two existing models of information searching related to everyday life problems, Foster’s non-linear model of information seeking behavior and Bates’s berry-picking approach. This research employs a qualitative method. A total of 35 advisors in different SHIL branches were interviewed and the content of the interviews was analyzed, mapped and organized into categories by using concepts and terms revealed in the data. Findings – Findings show that volunteers at SHIL search information in a way that integrates the two models mentioned above, the berry-picking model and the non-linear model. In addition, findings point to difficulties that the advisors face in solving problems of the clients. These difficulties are connected with the different aspects relating to the flow of information both within and outside the organization and with organizational and administrative aspects at SHIL. Originality/value – The information seeking behavior of volunteers acting as providers of information services has yet to be investigated at length and the understanding of their information behavior can be of value, since volunteering carries great importance in a democracy. Information Needs of Israelis on Citizen-related Information: Results of a Survey. In this paper we report the results of an offline survey of the information needs of members of the Israeli public about public and governmental services and entitlements. This survey was conducted as part of a research project on public use of online information: usage analysis of the Israeli Citizens Advice Bureau (SHIL) on the Web. The questionnaire was distributed in public places to a random selection of 437 Israeli citizens aged 18 and above, in the second half of 2008. Research assistants handed out the questionnaires and the participants filled in the surveys on the spot. If necessary the assistants provided help in the process. The questionnaire in cluded questions on the information needs and major sources of information for fulfilling these needs. The respondents were mainly concerned about health,transportation and education related issues, but work relations were also of primary concern. The preferred sources of information were family and friends, followed by the Internet. 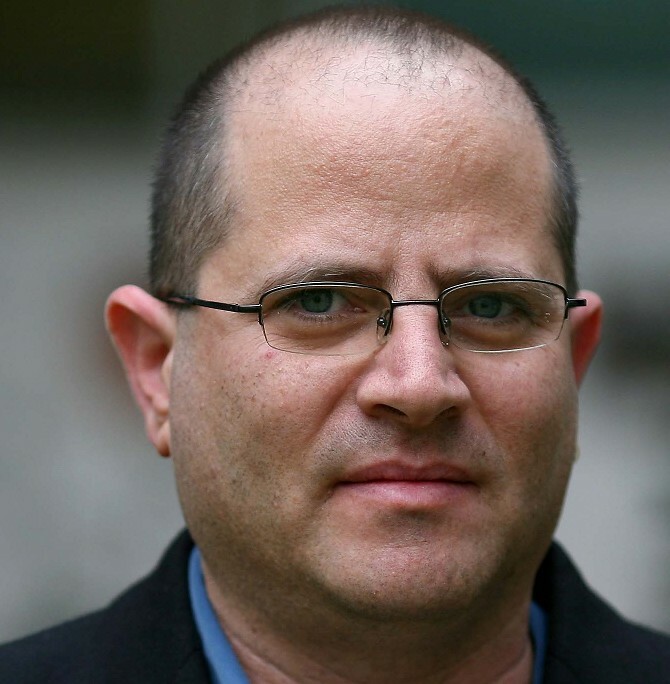 There was very low awareness to the Israeli Citizen Advice Bureau – SHIL, that maintains physical offices throughout the country, telephone hotlines and an extensive Web site, and its aim is to provide citizen-related information. An interesting question that can be addressed in future research is the fact that while the SHIL service is relatively unpopular in Israel, respective Citizen Advice Bureaux (CABx) have much higher visibility and popularity in other countries. What are the dimensions of similarity and difference in the service and the populations served that might account for this difference? While the role of knowledge management (KM) for decision support is well acknowledged, there is a gap between existing KM theory and actual KM practice in real-life decision-making. This paper aims to illustrate this gap by studying the report of the Columbia Accident Investigation Board, focusing on diagnosed pre-explosion problems in decision-making processes, and prescribed post-explosion recommendations. The paper's research contribution is two-fold: 1) consolidating two KM frameworks to one research tool, to serve as lens for studying decision-making processes and 2) providing convincing evidence regarding the role of the KM perspective in organizational decision-making processes. Cardon, P. W., Marshall, B., Norris, D. T., Cho, J., Choi, J., Cui, L., Collier, C., El-Shinaway, M.M., Raungpaka, V., Ravid, G., Svensson, L., Usluata, A., valenzula, J.P., Wang, S. & Whelan. C. (2009) Online and Offline Social Ties of Social Network Website Users: An Exploratory Study in Eleven Societies. 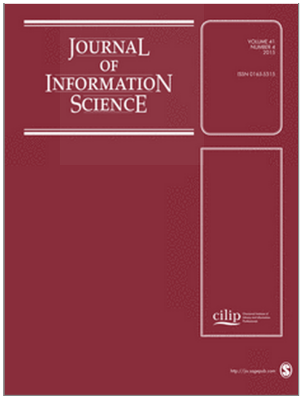 The Journal of Computer Information Systems. 50 (1). Online and Offline Social Ties of Social Network Website Users: An Exploratory Study in Eleven Societies. We analyzed sequences of lightning flashes in several thunderstorms on the basis of data from various ground-based lightning location systems. We identified patterns of clustering and synchronicity of flashes in separate thunderstorm cells, distanced by tens to hundreds of kilometers from each other. This is in-line with our early findings of lightning synchronicity based on space shuttle images (Yair et al., 2006), hinting at a possible mutual electromagnetic coupling of remote thunderstorms. We developed a theoretical model that is based on the leaky integrate-and-fire concept commonly used in models of neural activity, in order to simulate the flashing behavior of a coupled network of thunderstorm cells. In this type of network, the intensity of the electric field Ei within a specific region of thunderstorm (i) grows with time until it reaches the critical breakdown value and generates a lightning flash while its electric field drops to zero, simultaneously adding a delta E to the intensity of the internal electric field in all thundercloud cells (Ej,k,l…) that are linked to it. The value of ΔE is inversely proportional to the distance between the “firing” cell i and its neighbors j, k, l; we assumed that thunderstorm cells are not identical and occupy a grid with random spacing and organization. Several topologies of the thunderstorm network were tested with varying degrees of coupling, assuming a predetermined probability of links between active cells. The results suggest that when the group coupling in the network is higher than a certain threshold value, all thunderstorm cells will flash in a synchronized manner. Aviv, R., Erlich, Z. & Ravid, G. (2008). Analysis of Reciprocity and Transitivity in Online Collaboration Networks. 28(1). Analysis of Reciprocity and Transitivity in Online Collaboration Networks. The goal of this research is to explore whether network structures common in social networks also emerge in online distance learning networks. We compare the observed values of reciprocity and transitivity in 95 online distance learning networks and 40 social networks with predictions of Random Graph models. All the networks tested exhibit reciprocities that significantly deviate from the predictions of the random graph models. All the online distance learning networks and some, but not all, of the social networks exhibit transitivity compatible with generalized random graph models. 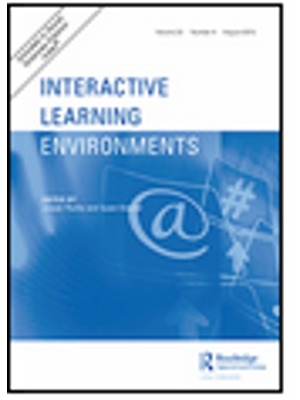 We provide possible explanations for these behaviors, based on the broadcast nature of the online distance learning networks, and practical implications for online collaborative learning. Ravid, G., Kalman, Y. M. & Rafaeli, S. (2008). Wikibooks in Higher Education: Empowerment Through Online Distributed Collaboration. 24(5). 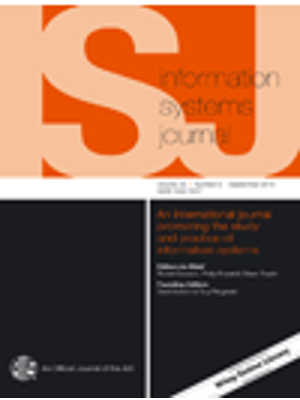 In this case study, wiki technology was applied to the development of an introductory academic textbook on information systems. While the development, production and distribution of traditional textbooks are influenced by commercial interests, the wikitextbook was developed collaboratively by faculty and by students, and was made available online free of charge. After about two years of activity, the wikitextbook accumulated 564 sub-chapters, co-authored by undergraduate and graduate students in more than 20 classes offered by seven academic departments across three Israeli universities. We discuss the potential of wikitextbooks as vehicles of empowerment to students, teachers, and the discipline. This type of collaborative online technology intimates an influence on the statusquo in academic education in favor of less empowered stakeholders. However, caution is advised in drawing premature conclusions from results reported here. The implementation of wikitextbook should be augmented by a careful study of cultural, societal, behavioral and pedagogic variables. מאמר זה דן בוויקי (Wiki) - גישה וכלי טכנולוגי אשר מציע יכולת מהירה לבניית מאגרי מידע קטנים וגדולים. המאמר מציג את הבסיס התיאורטי ואת ”חוכמת ההמון“ לפעילות בסביבה זו ועורך היכרות עם הרעיונות המרכזיים של הגישה ועם הכלי הטכנולוגי המממש אותה באמצעים ממוחשבים. בסיום נסקור את שימושי הוויקי בהשכלה הגבוהה בישראל. שפע השימושים האפשריים בוויקי מזמינים את הקורא, המרצה והמחנך לרתום רעיון מעניין זה למימוש מטרותיו בהוראה ובמחקר. How Social Motivation Enhances Economic Activity and Incentives in the Google Answers Knowledge Sharing Market. What are the antecedents, inhibitors and catalysts to providing information and participating in mixed fee-based and free online contexts? We describe the behaviour of about 500 “Researchers” in the Google Answers online service and over 70,000 questions posed on this system over a 29 month period. Google Answers is a fee-based environment. Answers provided on it are “worth” over $20 (including tips) on average. However, labour economics of response to price and tip alone do not fully account for the online information provision market. Non-monetary incentives, such as feedback in the form of comments predict and explain some of the variance in participation. Descriptive and correlational findings presented here are based on many thousands of answers. We thus corroborate some of the hybrid theories of information provision behaviour presented to date mostly in laboratory settings. The participation of experts in Google answers is associated with a hybrid of material (economic) and social motivators. SHIL on the Web is the website of the Israeli Citizens’ Advice Bureau. It provides information about rights, social benefits, government and public services and civil obligations. Activity on the site approaches 10,000 pages visited per day. It has interfaces in four languages: Hebrew, Arabic, Russian and English. Logfile analysis of the SHIL website revealed to our surprise that about 60.7% of the requests reaching SHIL from external sites (excluding requests from robots) are from general search engines (e.g. Google and MSN), and users reach a specific page on the site linked from the search results page. This finding seems to indicate that the site is not known well enough to the public. On the other hand the site is very active, thus it seems to serve Israeli citizens well, even without being a well known brand. In this paper we analyzed the external requests coming from search engines. The analysis is based on the 266,295 queries from search engines that reached SHIL during March–October 2005. Studying queries submitted to search engines is a novel technique for analyzing the access patterns to the site and provides a better understanding of the user needs and intentions than analyzing the distribution of the visited pages only. We are not aware of any previous study that analyzed the relation between the query submitted to the search engine and the webpage the user clicked on the search results page. Since search engines provide snippets, when the user clicks on a specific page he already has some information on what is to be found on the page and the user makes a conscious decision to click on the specific result. Thus, this type of analysis provides additional information about the users’ actual information needs. Yair, Y., Aviv, R., Ravid, G., Yaniv, R., Ziv, B. & Price, C. (2006). Evidence for Synchronicity of Lightning Activity in Networks of Spatially Remote Thunderstorms. 68(12). Evidence for Synchronicity of Lightning Activity in Networks of Spatially Remote Thunderstorms. Visual observations by space shuttle astronauts have described a phenomenon in which spatially distant thunderstorm cells seem to reciprocally ‘‘ignite’’ lightning flashes in a semi-cyclic sequence. Lightning occurring in one cell is immediately followed by lightning in other cells, separated by tens or hundreds of kilometers. We present quantitative analysis of lightning observations conducted within the framework of the MEIDEX-sprite campaign on board the space shuttle Columbia in January 2003. Video footage of 6 storm systems with varying flash rates, which occurred over Africa, South America, Australia and the Pacific Ocean were analyzed. It is found that when the storm flash rate was high, lightning activity in horizontally remote electrically active cells became clustered, with bursts of nearly simultaneous activity separated by quiet periods. The recurrence time was 2.5 s, close to the previously reported time delay between consecutive ELF transient signals in the Schumann resonance range. We propose that this behavior is similar to the collective dynamics of a network of weakly coupled limit-cycle oscillators. Thunderstorm cells embedded within a mesoscale convective system (MCS) constitute such a network, and their lightning frequency is best described in terms of phase-locking of a globally coupled array. Comparison of basic parameters of the lightning networks with predictions of random-graph models reveals that the networks cannot be described by the classical random-graph model, but are more compatible with generalized random-graphs with a prescribed degree distribution that exhibit a high clustering coefficient and small average path lengths. Such networks are capable of supporting fast response, synchronization and coherent oscillations. Several physical mechanisms are suggested to explain the observed phenomenon. Noy, A., Raban, D. R. & Ravid, G. (2006). Testing Social Theories in CMC through Gaming and Simulation. 37(2). Information is a critical component of commercial transactions. Our games, the LEMONADE STAND and HULIA, and simulation, AUCTION SIMULATION, represent a variety of computerized commercial situations where information may be actively shared or traded or passively available as part of the transaction. These games and simulation served as research tools for testing a variety of social theories aiming to offer some explanations for information behavior in online spaces and its subsequent effect on the commercial transactions taking place. We demonstrate, using the analytical sciences approach, how computerized games and simulations are used to study and validate theoretical constructs in networked environments. Validating a variety of theories using three different artifacts, while acknowledging their strengths and limitations, shows promise for the continued development of games and simulations as important instruments for the analytical sciences approach. 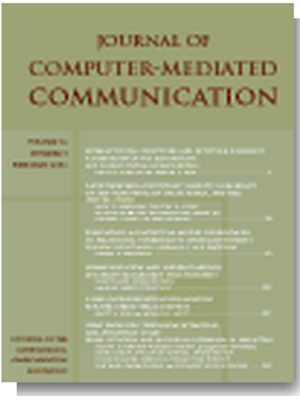 This study examines the chronemics of response latencies in asynchronous computer-mediated communication (CMC) by analyzing three datasets comprising a total of more than 150,000 responses: email responses created by corporate employees, responses created by university students in course discussion groups, and responses to questions posted in a public, commercial online information market. Mathematical analysis of response latencies reveals a normative pattern common to all three datasets: The response latencies yielded a power-law distribution, such that most of the responses (at least 70%) were created within the average response latency of the responders, while very few (at most 4%) of the responses were created after a period longer than 10 times the average response latency. These patterns persist across diverse user populations, contexts, technologies, and average response latencies. Moreover, it is shown that the same pattern appears in traditional, spoken communication and in other forms of online media such as online surveys. The implications of this uniformity are discussed, and three normative chronemic zones are identified.. Theoretical foundation of Response mechanisms in networks of online learners are revealed by Statistical Analysis of p* Markov Models for the Networks. Our comparative analysis of two networks shows that the minimal-effort hunt-for-social-capital mechanism controls a major behavior of both networks: negative tendency to respond. Differences in designs of the networks enhance certain mechanisms while suppressing others: cognition balance, predicted by the theories of cognitive balance, and peer pressure, predicted by the theories of collective action are enhanced in a team like network but suppressed in a Q&A like forum. On the other hand, exchange mechanism, predicted by the theory of exchange & resource dependency and tutor’s responsibility mechanism are enhanced in the Q&A type forum but suppressed in the team like network. Contagion mechanism, predicted by the theory of collective action did not develop in both networks. The different mechanisms lead to the formation of different micro and macro structures in the topologies of the responses of the networks and hence in the buildup of collaborative knowledge. The techniques presented in this work can be extended to other types of mechanisms and networks. . Reciprocity Analysis of Online Learning Networks. Asynchronous Learning Networks (ALNs) make the process of collaboration more transparent, because a transcript of conference messages can be used to assess individual roles and contributions and the collaborative process itself. This study considers three aspects of ALNs: the design; the quality of the resulting knowledge construction process; and cohesion, role and power network structures. The design is evaluated according to the Social Interdependence Theory of Cooperative Learning. The quality of the knowledge construction process is evaluated through Content Analysis; and the network structures are analyzed using Social Network Analysis of the response relations among participants during online discussions. In this research we analyze data from two three-month-long ALN academic university courses: a formal, structured, closed forum and an informal, non-structured, open forum. We found that in the structured ALN, the knowledge construction process reached a very high phase of critical thinking and developed cohesive cliques. The students took on bridging and triggering roles, while the tutor had relatively little power. In the non-structured ALN, the knowledge construction process reached a low phase of cognitive activity; few cliques were constructed; most of the students took on the passive role of teacher-followers; and the tutor was at the center of activity. These differences are statistically significant. We conclude that a well-designed ALN develops significant, distinct cohesion, and role and power structures lead the knowledge construction process to high phases of critical thinking. Online spaces that enable shared public interpersonal communications are of significant social, organizational, and economic importance. 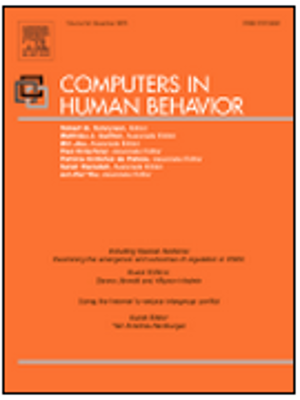 In this paper, a theoretical model and associated unobtrusive method are proposed for researching the relationship between online spaces and the behavior they host. The model focuses on the collective impact that individual information-overload coping strategies have on the dynamics of open, interactive public online group discourse. 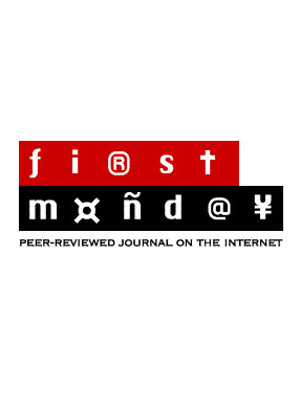 Empirical research was undertaken to assess the validity of both the method and the model, based on the analysis of over 2.65 million postings to 600 Usenet newsgroups over a 6-month period. Our findings support the assertion that individual strategies for coping with “information overload” have an observable impact on large-scale online group discourse. Evidence was found for the hypotheses that: (1) users are more likely to respond to simpler messages in overloaded mass interaction; (2) users are more likely to end active participation as the overloading of mass interaction increases; and (3) users are more likely to generate simpler responses as the overloading of mass interaction grows. The theoretical model outlined offers insight into aspects of computer-mediated communication tool usability, technology design, and provides a road map for future empirical research. A-synchronous Discussion Groups as Small World and Scale Free Networks. What is the network form of online discussion groups? What are the topological parameters delineating the interaction on such groups? We report an empirical examination of the form of online discussion groups. We are interested in examining whether such groups conform to the Small World and the Scale Free models of networks. Support for these expectations provides a formal expression of growth, survival potential and preferential attachment in the connection patterns in discussion groups. The research questions were tested with a sample of over 8,000 active participants, and over 30,000 messages. We find that the social network resulting from discussion groups is indeed a Scale Free Network, based on In, Out and All Degree distributions. We also find that, for the same sample, discussion groups are a Small World Network too. As expected, the clustering coefficients for these groups differ significantly from random networks, while their characteristic path lengths are similar to random networks. Implications of the topology for the design and understanding of discussion groups include the stability and control of such groups, as well as their longevity. Aviv, R., Erlich, Z. & Ravid, G. (2003). 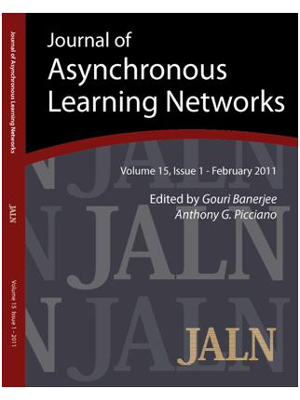 Network Analysis of Knowledge Construction in Asynchronous Learning Networks.7(3). 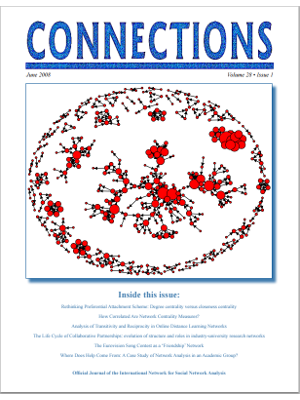 Network Analysis of Knowledge Construction in Asynchronous Learning Networks. Asynchronous Learning Networks (ALNs) make the process of collaboration more transparent, because a transcript of conference messages can be used to assess individual roles and contributions and the collaborative process itself. This study considers three aspects of ALNs: the design; the quality of the resulting knowledge construction process; and cohesion, role and power network structures. The design is evaluated according to the Social Interdependence Theory of Cooperative Learning. The quality of the knowledge construction process is evaluated through Content Analysis; and the network structures are analyzed using Social Network Analysis of the response relations among participants during online discussions. In this research we analyze data from two three month long ALN academic university courses: a formal, structured, closed forum and an informal, non-structured, open forum. We found that in the structured ALN, the knowledge construction process reached a very high phase of critical thinking and developed cohesive cliques. The students took on bridging and triggering roles, while the tutor had relatively little power. In the non-structured ALN, the knowledge construction process reached a low phase of cognitive activity; few cliques were constructed; most of the students took on the passive role of teacher-followers; and the tutor was at the center of activity. These differences are statistically significant. We conclude that a well designed ALN develops significant, distinct cohesion, and role and power structures lead the knowledge construction process to high phases of critical thinking. Rafaeli, S., & Ravid, G. (2003). 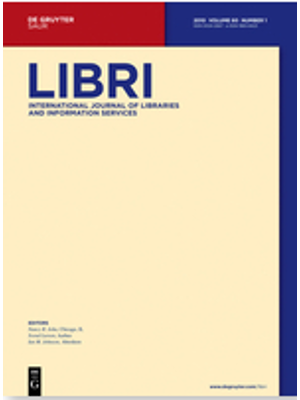 Information Sharing As Enabler for the Virtual Team: An Experimental Approach to Assessing the Role of Electronic Mail in Disintermediation. 13(2). Abstract. This paper is an attempt to document empirically the relation between information sharing accomplished via electronic mail and the performance of teams. We report on an experimental study of the role of electronic mail in the operation of supply chains. A variation of the well known ‘Beer Game’ role playing simulation game was computerized and implemented in an internet based environment to study the information sharing behaviour of teams. A total of 76 teams of four players each competed to achieve best net team profit. Results of the simulation game permit a detailed examination of email use in an organizational context. Findings indicate the expected significant correlation between email use to share information up the supply chain and net team profit. In other words, sharing information in the team has a positive impact on performance. The recorded behaviour of managers in the online simulation indicates that team members use electronic mail successfully to attempt disintermediation of the supply chain. When information is shared online, teams perform significantly better. Snir, R.& Ravid, G. (2015) Network Analysis Perspective On Global Nanotechnology Regulatory Governance. Codish, D. & Ravid, G. (2014) Adaptive Approach for Gamification Optimization. Solomovich, L.,Ravid, G., Meir, A., Avni, N.,(2014). Collaboration of multicultural knowledge through Communication Technology - understanding the social - ecological coupled systems of the desert. Solomovich, L.,Ravid, G., Meir, A., Avni, N.(2014). Challenges in the Learning Processes of Multi-Cultural Communities of Practice. 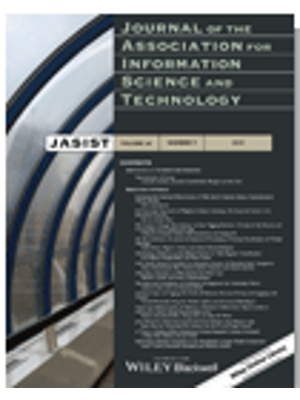 Sasson, E., Ravid, G., & Pliskin, N., (2014) Text Mining and Temporal Trend Detection on the Internet for Technology Assessment: Model and Tool. Codish, D.& Ravid G. (2014) Personality Based Gamification: How Different Personalities Percive Gamification. Kalman, M. Y. & Ravid, G. (2014) Email Inbox Management by Information Overloaded Users. Sasson, E., Ravid, G., & Pliskin, N. (2014) Modeling Technology Assessment via Knowledge Maps. Sasson, E., Ravid, G. & Pliskin, N. (2013) Modeling Technology Assessment via Knowledge Maps based on Text Mining and Temporal Trend Detection. Sasson, E., Ravid, G. & Pliskin, N. (2013) Technology Assessment via Webometrics, Text Mining and Temporal Trend Detection. Sasson, E., Ravid, G. & Pliskin, N. (2012). 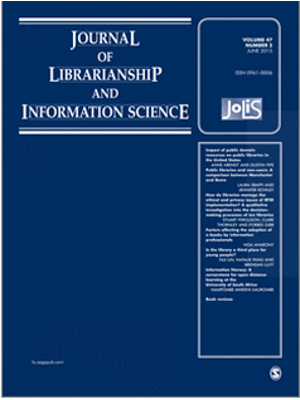 Technology Assessment via Bibliometrics, Text Mining and Temporal Trend Detection. Solomovich, L., Avni, N., & Ravid, G. (2012) Action Research, Development process and design of multicultural community of practice through E-learning environment for teachers who Teach science. Ravid, G., Sasson, E., & Pliskin, N. (2012). 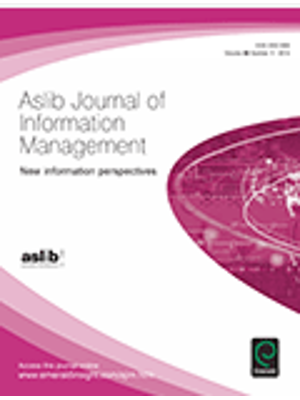 Social Networks Analysis of Text Mining and Bibliometrics for IT Assessment. Sasson, E., Ravid, G., & Pliskin, N. (2012). 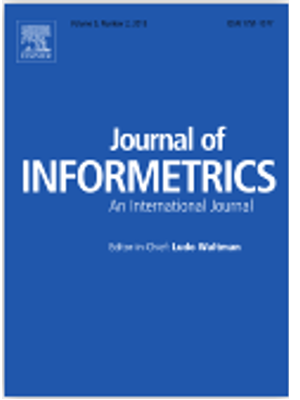 Harnessing Text Mining and Bibliometrics Web Counts for modeling IT Assessment Framework and Automated Tool. Solomovich, L., Avni, N., & Ravid G. (2011) Development process and design of multicultural community of practice through E-learning environment as a means of professional development of teachers in the periphery. Opening Gates in Teacher Education"
Solomovich, L. & Ravid G. (2011) Backchannels Usages in Online Community of Practice. Sasson, E., Ravid, G. & Pliskin, N. (2011). Harnessing Text Mining and Bibliometrics Web Counts for Modeling IT Assessment Framework and Automated Tool. Solomovich, L. & Ravid G. (2010) Backchannels Usages in Online Community of Practice. 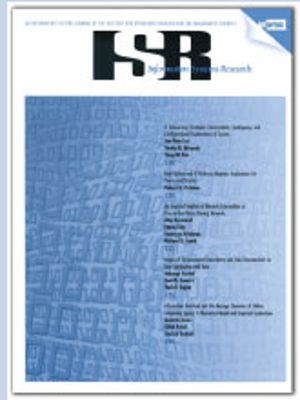 Ravid, G., Bar-Ilan, J., Baruchson-Arbib, S., Yaari, E., Rafaeli, S. & Weiss, N. (2010) A User Survey of a Site Providing Citizen Information: Preliminary Findings of Shil.Info. Ravid, G. & Currid, E. (2010) Celebrities as Category and Group: An Empirical Network Analysis of an Elite Population. Bartal, A. & Ravid, G. (2010). Predicting Links in Social Networks: The Israeli Law System and Netflix. Solomovitz, L. & Ravid G. (2010) Backchannels Usages in Online Community of Practice. Currid, E. & Ravid, G.I (2010) Star Markets in the Cultural Industries: An Empirical Network Analysis of Labor Pool Mobility in Los Angeles, New York and London. Ravid, G. (2010) Wiki Books usage in Learning: the Introduction to Information Systems Course Case. Bartal, A. & Ravid, G. (2010). Prediting Links in Social Networks: The Israeli Law System and Netflix. Bartal, A., Ravid, G., Pliskin, N. & Lerner, B. (2009) Predicting Links in Sparse Social Networks using Text Mining and Graph Theory. 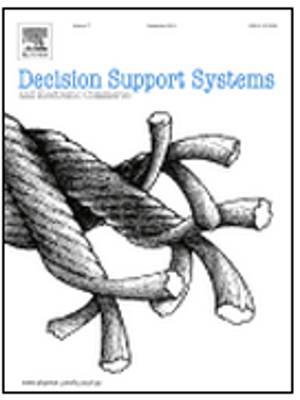 Levy, M., Pliskin, N. & Ravid, G. (2009) Assimilating Knowledge Management and Decision Support Systems into Business Processes. Bartal, A., Sasson, E., Ravid, G. (2009) Predicting Links in Social Networks using Text Mining and SNA. Bartal, A., Ravid, G. & Sasson, E. (2009), Predicting Business Opportunities Using Social Networks. Ravid, G., Currid, E. (2008) How to Become Famous: Popular Culture Networks. Ravid, G., Yair, Y.,. Aviv, R. & Colin, P. (2008) Can Network Analysis and Simulation of Distant Thunderstorms Explain Spontaneous Synchronization of Lightning Flashes? Ravid, G. (2008) Social Structures in Open Spaces: Research Wiki Uses in Higher Education. 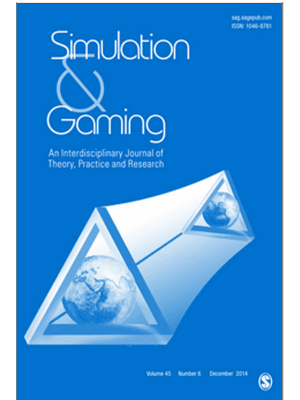 Ravid, G. (2008) Game, Simulation and Simulation-Game in Information Systems Research and Learning. Yair, Y., Aviv, R., Ravid, G., Asfur, M. & Price, C. (2007) Transient Synchronization and Coupling of Lightning Activity in Severe Mediterranean Winter Thunderstorms. Aviv, R., Erlich, Z. & Ravid, G. (2007) Randomness and Clustering of Responses in Online Learning Networks. Ravid, G. (2007) Open Large Shared Knowledge Construction Systems' Dominance: The Wikipedia Social Structure. 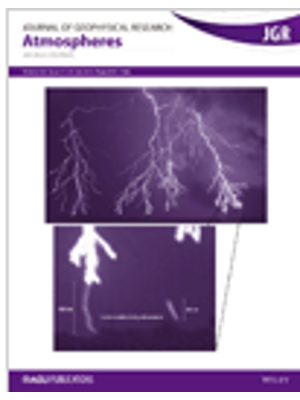 Yair, Y., Aviv, R., Price, C., Asfur, M. & Ravid, G., (2007) Can Spontaneous Synchronization of Lightning Flashes Occur in a Network of Distant Thunderstorms? Kalman, Y. M., Ravid, G., Raban, D. R., & Rafaeli, S. (2007) Are You Still Waiting for an Answer? The Chronemics of Asynchronous Written CMC. Kalman, Y. M., Ravid, G., Raban, D. R., & Rafaeli, S. (2006). Speak *now* or Forever Hold Your Peace: Power Law Chronemics of Turn-taking and Response in Asynchronous CMC. Ravid, G. (2006). E-mail as Facilitator to Increase Revenues: Empirical Study. Ravid, G., Bar-Ilan, J., Baruchson-Arbib, S., & Rafaeli, S. (2006). Analysis of Queries Reaching SHIL on the Web. An Information System Providing Citizen Information. Ravid, G. & Rafaeli, S. (2006). Wikibooks for Academic Learning: On Going Research. Noy, A., Raban, D. R. & Ravid, G. (2005). Practicing What We Preach: Applying Theory to Game and Simulation Development. Yair, Y., Aviv, R., Ravid, G., Yaniv, R., Ziv, B., Price, C. (2005). Evidence for Synchronicity of Lightning Activity in Spatially Remote Thunderstorms Obtained from Space Shuttle Observations. Rafaeli, S., Raban, D. R. & Ravid, G. (2005). Social and Economic Incentives in Google Answers. 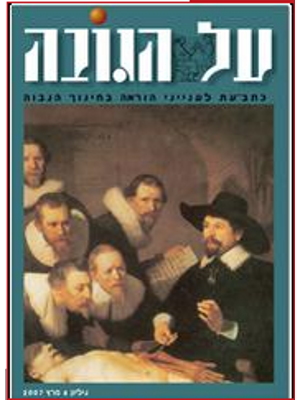 Yair, Y., Aviv, R., Ravid, G., Yaniv, R., Ziv, B., Price, C. & Israelevitch, P. (2005). 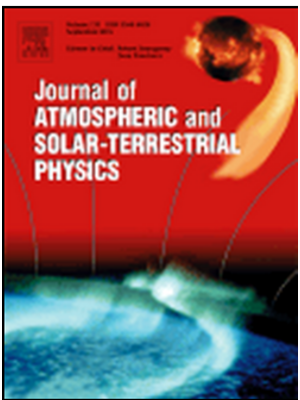 Space-Based Observation of Possible Electromagnetic Interactions between Distant Thunderstorms. Rafaeli, S., Ravid, G., & Soroka, V. (2004). De-lurking in Virtual Communities: A Social Communication Network Approach to Measuring the Effects of Social Capital. Aviv, R., Erlich, Z., & Ravid, G. (2004). Structure of Social Capital, Group Design and Knowledge Construction in Discussion Forum: Quantitative Research. Aviv, R., Erlich, Z., & Ravid, G. (2004). Knowledge Construction, Virtual Neighborhoods Architecture, Mechanisms and Design Features in Online Communities. Aviv, R., Erlich, Z., & Ravid, G. (2004). 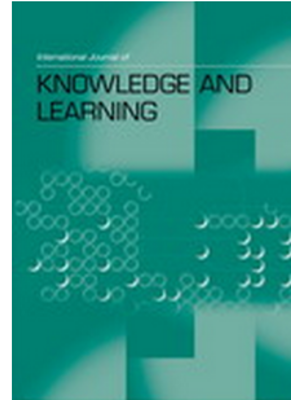 Social Capital, Group Design and Knowledge Construction in Forums: Quantitative study. Ravid, G. , & Rafaeli, S. (2004). Small-World and Scale-Free Networks: A- synchronous Forums Research. Aviv, R., Erlich, Z., & Ravid, G. (2004). Mechanisms and Architectures of Online Learning Communities. Aviv, R., Erlich, Z., & Ravid, G. (2004). Design and Architecture of Collaborative Online Communities: A Quantitative Analysis. Aviv, R., Erlich, Z., & Ravid, G. (2004). 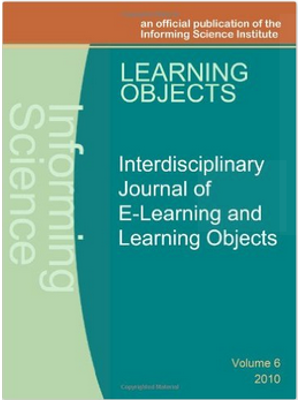 Design and Mechanisms on Knowledge Constructing Online Learning Communities. Aviv, R., Erlich, Z., & Ravid, G. (2003). Network Analysis of Effective Knowledge Construction in Asynchronous Learning Networks. Aviv, R., Erlich, Z. & Ravid, G. (2003). Network Analysis of Cooperative Learning. Aviv, R., Erlich, Z., & Ravid, G. (2003). Cohesion and Roles: Network Analysis of CSCL Communities. Aviv, R., Erlich, Z. & Ravid, G. (2003). Evolution of Social Capital Structures in Collaborative Online Learning Networks. Jones, G., Ravid, G. & Rafaeli, S. (2002). An Empirical Exploration of Mass Interaction System Dynamics: Individual Information Overload and Usenet Discourse. Jones, G., Ravid, G. & Rafaeli, S. (2001). Information Overload and Virtual Public Discourse Boundaries. Jones, G., Ravid, G., & Rafaeli, S. (2001). Empirical Evidence for Information Overload in Mass Interaction. Rafaeli, S. & Ravid, G.(2001). Research Through Online Simulation of Team Coordination, Communication, and Information Sharing. Ravid, G. & Rafaeli, S. (2000). 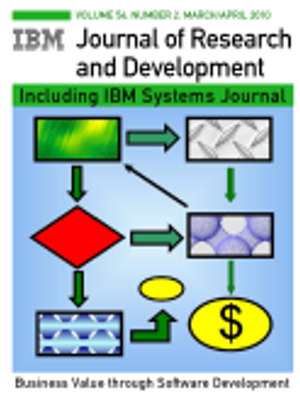 Multi Player, Internet and Java Based Simulation Games: Learning and Research in Implementing a Computerized Version of the "Beer-Distribution Supply Chain Game". Rafaeli, S. & Ravid, G.S (1997). Online, Web Based Learning Environment for an Information Systems Course: Access Logs, Linearity and Performance. © 2014 Swiftly. All rights Reserved.